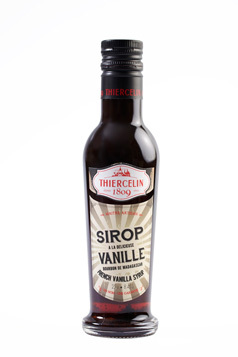 Thiercelin benefits from a family tradition for 200 years. An expertise — passed on from father to son for 7 generations — of unique and rare flavors’ manufacturer and growers. Fields’ knowledge at the source, manufacturing, processing, selection at the origin, imports and international trade characterize the Maison Thiercelin. Thiercelin insures quality control and purity of raw materials through its own certified laboratory control since 1901. Lean production is processed into its manufacturer where formulation, cleaning, sorting, sifting, blending and packing of the final product is processed. Thiercelin devotes itself to natural aromatic plants for food, pharmaceutical and cosmetic use. Saffron as one of its major product amongst all variety of quality peppers, herbs, spices, vanillas, flowers, honeys, cereals, sea weeds, dried fruits, fruit juices and concentrates from tropical to european origin. Thiercelin create also custom recipes and extraction of pharmaceutical and cosmetic uses. 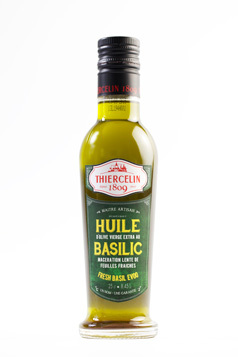 Thiercelin offers directly from the fields a wide range of natural ingredients to demanding markets. Thiercelin realizes direct sales through its distributor network and partners, online store and own concept store in Paris dedicated to end users. Thiercelin markets through several activities in France, Europe, America and Asia. The family business aims for 2 centuries to reach specific markets such as: firstly, Industries with its division Natural & Healthy Ingredients (serving food industry, pharmaceutical and cosmetic industries), secondly, professional chefs (serving gastronomical restaurants, hotels, catering, pastry and bakery sector) with its division Food Service and finally the end user with its brand Thiercelin 1809 through the store and retailers. Thiercelin Natural & Healthy ingredients serves the industry of the sweet sector providing genuine vanillas, saffron, spices, aromatics, essence, custom made ingredients formulated in our laboratory, fruits diversified at every states from powder to slices, cut, frozen iqf, and concentrates of citrus, european and exotic fruits. Thiercelin Food Service supplies highly ranked hotels, gastronomical restaurants, catering and pastries with a large range of high quality products divided into 5 families with poetic names such as "Gourmand" (edible flowers, honeys, sugars, flavors, vanillas, coffees, fruits, teas), "Safrans" (threads, powder and saffron creation), "Aventure" (whole and ground spices, homemade spice blends), "Rustique" (mushrooms, truffles, herbs, cereals, rice, flours, gastronomical oils and vinegars), "Marine" (French sea weeds, sea salts and elaborated sea products such as poutargue and flavors) (www.thiercelin1809.com). Thiercelin 1809 offers to the end users, fine connoisseurs, a product range used by professionals at attractive prices, directly from producer to the shop in Paris, online store on the website (www.thiercelin1809.com). Products under the brand Thiercelin 1809 are distributed though delicatessen shop and retail market. Early 2000, Thiercelin welcomes the 7th generation to join the 200 years old company, which made quality, a company culture and ethic to become the motive principle of the company's reputation. Jean Thiercelin, wine maker, bought — from the city of Pithiviers - Gâtinais in the country of the Loiret — a piece of land where was erected one of the gate of the fortified wall of the city of Orleans — to start dealing with local agriculture products.  Jean, François and Louis Thiercelin will move this activity from vinegar-maker to spice-dealer - trading in particular with Saffron, which was cultivated in the area since the XVth century including the trade of colonial items. Lucien Thiercelin — Saint-Cyrien — enhance saffron trade and exportations. 6th of august 1896, Madagascar is unilaterally declared french colony. Saffron harvest’s decline is statistically confirmed end of XIXth and beginning of XXth century. For instance, during 1899’ crop, Thiercelin was buying 100 kg of saffron in France, however more than 1000 kg were purchased in Spain. Thiercelin diversifies its activity into sea weeds and specializes into manufacturing and processing of agar-agar, by creating a factory in Brest . Creation of the first laboratory control of Thiercelin. Lucien Thiercelin, fourth generation, built the first laboratory control and keep strong relationship with every french embassy all over Europe in order to fight against saffron adulteration. Purchase of BRIERE & FILS’ activity. Lucien Thiercelin takes over the Maison Brière. Thiercelin’s agents criss-cross the entire world from Delhi to San Francisco, via Alger, Beyrout to insure world wild exportations. About 30.000 kg of saffron were sold every year by Thiercelin. Creation of the DGCCRF by the French ministry of Agriculture. Thiercelin deeply participates to the work dedicated to saffron control during the congress of creation of the Fraud repression. When saffron harvest declines in France, more than 45 buyers take care of saffron’s collect in Spain. Qualified with secret agent skills, they pass on their precious informations to Pithiviers’ head office with the help of a secret book named el Codigo telegrafico de la casa Thiercelin et Charrier. Every numbers is linked to a name code. These cares secure every transaction. For instance, Aristofanes translate for example the number 67. A real secret code to avoid any sudden increasing of prices. First World War (14-18). Jean Thiercelin, hurt during the battle of the Marne, is named — in 1917 — at the side of M Paul Cambon, french ambassador in London, whom directly involved in the initial work of the united nation 1919 (preliminary ONU). Irony of fate, for this men whom developed Thiercelin’s activities in Spain, Lucien Thiercelin dies of the flu pandemic. Jean, his son, inspire a new age and become the privileged supplier of pharmaceutical and perfume industry, with thousands of plants, vanillas as references. Creation of the AFNOR (French Association of Normalization). The company goes through nine years of tremendous turbulence. Jean Thiercelin escapes from the fall of Madrid to the Nationalists in 1939, catching the last train to France. After the Spanish Civil War (1936-1939), comes the Second World War. Nine years of interruptions with suppliers, nine years of torpor against the fascist never put off their faith and love for saffron. 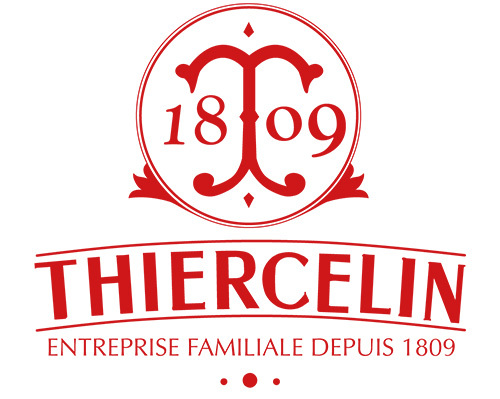 Closing of Thiercelin’s manufacture at Pithiviers. At the end of the Second World War, activity can start again nevertheless it goes through difficult times. 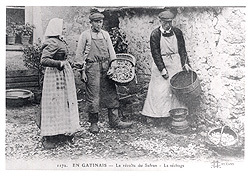 Jean Thiercelin gives away to his brother in law — Violet — the sea weeds business in the same building at Pithiviers named Laboratoire Marin Violet. Honeys business will be given away to a local cooperative. 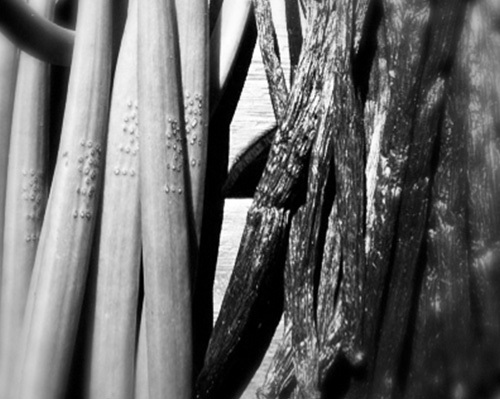 Therefore vanilla business will be sold to a new comer from Autrui sur Guine (45). Jean Thiercelin will carry on the aromatics and saffron business, and will create the brand TOPO. In the end forties, the family leaves Pithiviers for Yèvre-le-Châtel. In the fifties, a strong desire to renew links with diplomacy is asserted when Jean Thiercelin joins at Paris the American embassy to be part of the Marshall plan’s control. He will become assistant of the agricultural attaché. The saffron family business is maintained by his spouse. After that Jean Thiercelin passes away, his son Jean M. Thiercelin (6th generation), accompanied by his spouse Enriqueta takes over the business under the social name Tradimpex Jm Thiercelin at Rungis facilities - Val de Marne. Celebrates the creation of the transformed Fruits & Vegetables activity (concentrates, pulps, iqf, frozen fruits and vegetables, surimi) TRADIMPEX AGROALIMENTAIRE by Enriqueta Thiercelin. Jean Thiercelin takes part of the Aromatics & Spices commission at the AFNOR as expert and participates actively — under the work of the comity of Aromatics & Spices of the ISO SC34TC7 — at the elaboration of new norms for saffron quality control. Transfer into the new manufacture at Champigny sur Marne - Val de Marne. Construction of the new manufacture at la Queue en Brie - Val de Marne(1 300 m2). The entire stocks hold at Villeneuve le Roi is destroyed by criminal fire during the fishermen strikes. Horrible car accident — nearly deadly — which involved Enriqueta Thiercelin, during a tropical fruit supplier visit in South America on the road to Mexico. Immobilized for a long year, and traumatized, Enriqueta Thiercelin starts a personal reflection on this experience during this period of time afterwards accident — which will give birth to a new concept store for the public. Thiercelin's family settled down its first concept store near Opera in Paris. The Boutique offers thousands of delicacies that was till now only avaiable for professional chefs. Chefs amateurs and connoisseur can enjoy premium quality ingredients distributed in direct from the manufacture. Jean Philippe Thiercelin (7th generation) follows the class of the famous and prestigious school of aromatic, cosmetic and perfume ISIPCA Paris that allows him to keep a foot in the family business before joining the business for good in 2005. David Thiercelin (7th generation) joins the family business after business studies in business school in Paris with several experience overseas to enhance his skills specially in the UK and Asia. Arnaud Thiercelin (7th generation) joins the family group at the end of its studies in computer engineering. Construction of the new manufacture to enhance the site and pass into a 3000 m2 size production site at Combs la ville - Seine et Marne. Moving into the new site. The group welcome the creation of Flying Pig — computer company — by highly talented engineer Arnaud Thiercelin (7th generation) and its partner Christophe Dupont. Launch in december, of the novel SAFFRON, THE GOLD OF CUISINE by Jean Thiercelin. Launch of the Boutique range of Thiercelin. The novel SAFRAN, L’OR DE VOS PLATS by Jean Thiercelin wins the famous price Guerlain 2008 during the Journées du Livre et du Vin at Saumur. Thiercelin’s family is proud to celebrate this year its 200 year anniversary and be part of the prestigious Henokiens members.